We adopted two kids from Ethiopia eight years ago, a country rich in culture but very poor economically; a place where there is one doctor per about 48,000 people (as compared to here where there is one doctor per about 300 people). Up until a few years ago, that number was more like one in 100,000. Recognizing the need for better healthcare, Ethiopia expanded the number of medical schools in one fell swoop, opening 13 new ones in just a few years. While that has increased access somewhat, unfortunately the medical training doctors-to-be receive is often subpar. At the time of the adoption, our children’s father had died and their mother was extremely ill and suffering terribly. It gave her great peace knowing that her children were going to America, a place where they would be able to access the health care that she could not. So ironies abound that our daughter, Talia, born here in the USA—supposedly a place where you can get the best medical care of anywhere in the world—died due to egregious medical care and errors. We recently took our two youngest kids, our son Abi and our daughter, Tsion, back to Ethiopia to reunite with family there and to see their homeland. When Abi and Tsion’s little cousin got her hand slammed in a car door, Jeff and I fretted, knowing what a broken hand there might mean. We understood better the kind of anxiety people live with daily as they face life with little more than hope and fingers crossed that illnesses and injuries will resolve on their own, that things will work out—because there is no easy or consistent access to medical care to treat even routine problems. Now we’re raising our black daughter in this country, the good old USA, where medical bias—rather than lack of access—might compromise her care. Last month, ProPublica’s Nina Martin and NPR’s Renee Montagne wrote an indepth piece about Shalon Irving’s death shortly after giving birth to her daughter. Shalon was an educated black mother who worked in the field of healthcare for the Centers for Disease Control (for all the good it did her), and who died because her medical care was atrocious and the people charged with her care would not listen, hear, believe or act on her behalf. 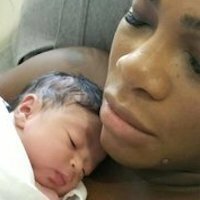 Recently, the NYTimes reported on Serena Williams’ care after the birth of her daughter, another case in which providers—nurses and doctors—willfully turned away from the patient and the patient’s knowledge of herself when assessing treatment options. Reading of Serena Williams trying to get her providers to listen was an echo of Talia’s and our attempts to get help for her. Thankfully, Serena prevailed where Talia did not; but it is unbelievable that it was so difficult for Serena to get her “health care providers” to listen to her concerns even though she has a potentially life-threatening condition that was already known to her providers. Sometimes I feel daunted by the task ahead of us. We are aiming high, hoping to change the culture of medicine to make it at the very least available to black women, to folks with Ehlers-Danlos Syndrome (the disease our daughter Talia had—people who are often treated as pariahs by doctors), and to others on the margins—all people who have higher rates of mortality and complications. But it’s a long, hard road ahead, given how much knowledge already exists about the problems with the system, and how little improvement we see even after reading the statistics and hearing about various organizations that are trying to address and rectify the problems. Indeed, the numbers in the NYTimes article show just how we are failing to fix the system, even when we know exactly how and where it is broken. The NYTimes noted that “the risk of pregnancy-related death is three to four times as high for black women as it is for white women, the C.D.C. says. Even more troubling, the numbers have increased steadily from 7.2 deaths per 100,000 live births in 1987 to a high of 17.8 deaths per 100,000 live births in 2009 and 2011, according to the C.D.C.” In spite of all our knowledge about the nature of the problems, death rates increase significantly. And these numbers are not due to poverty alone. As the Times article points out, “‘Everyone always wants to say that it’s just about access to care and it’s just about insurance, but that alone doesn’t explain it,’ said Dr. Howell, whose research focuses on quality of care and racial and ethnic disparities in maternal and child health. Dr. Howell and ProPublica both pointed to a 2016 analysis that found that black college-educated mothers who gave birth in New York City hospitals were more likely to suffer severe complications during pregnancy and childbirth than uneducated white women.” The title alone of the ProPublica article speaks volumes: Nothing Protects Black Women from Dying in Pregnancy and Childbirth: Not Education. Not Income. Not Even Being an Expert on Racial Disparities in Healthcare. I’ve lost one kid to the system already—a young woman with the kind of privileges that should have made her low-risk, even with a difficult surgery. Not only was Talia white and educated, but she was the daughter of a doctor who was present and vocal about the care she needed (and that ultimately he could not secure for her), and still she had a devastating outcome. Pairing that reality with the experiences of Serena Williams and Shalon Irving, to name just two; well, it doesn’t make me feel great about the future my black daughter faces as she heads into young adulthood and beyond. We all have some serious work to do—those of us who are white and can speak up, and most especially, those who are white and hold power in the medical field.